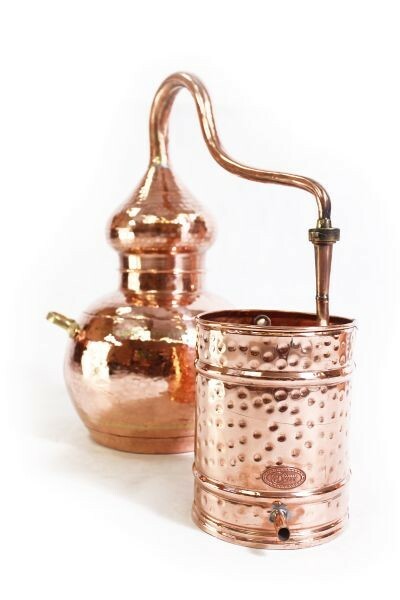 Schnapps distillation in convenient 10 liter size for highly aromatic fruit and fine spirits - ideal for traditional double distillation. 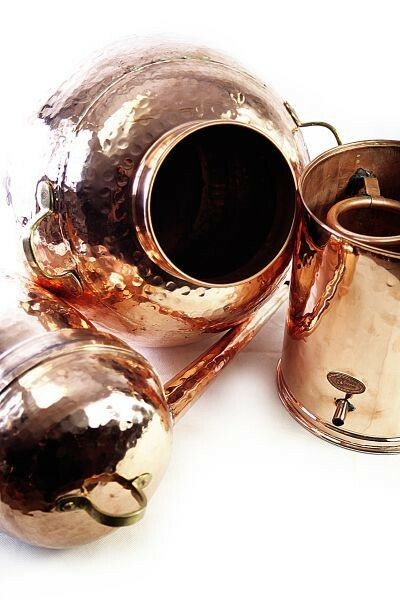 Traditional schnapps distillation - thanks to the wide head with the collection channel, this still allows you to carry over a lot of the aroma from the mash into the distillate. 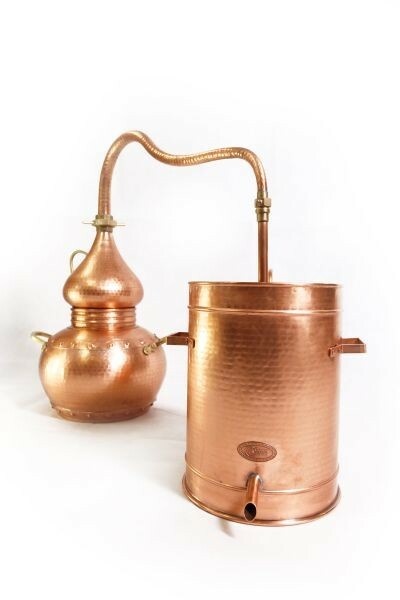 We particularly recommend this Arabia still for schnapps distillation, especially when you would like to distil twice in the traditional way. 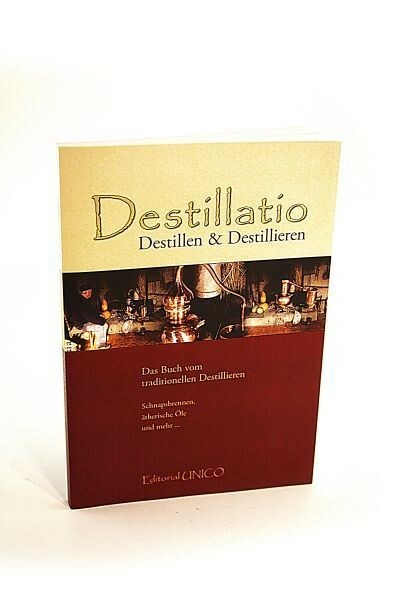 You obtain about a 25% raw spirit which contains all the aroma from the original mash from the first run - only in the second run do you refine the fine spirit enough that you obtain 50 to 60% proof alcohol. 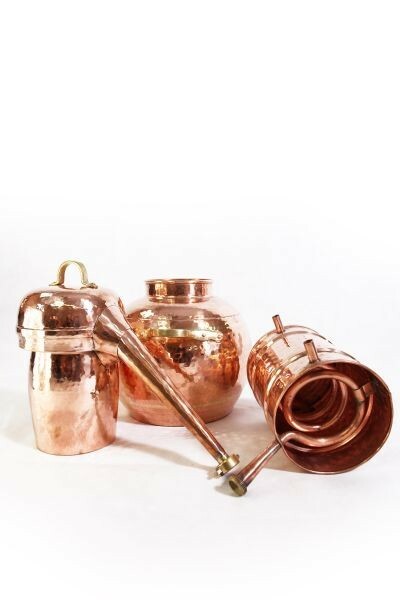 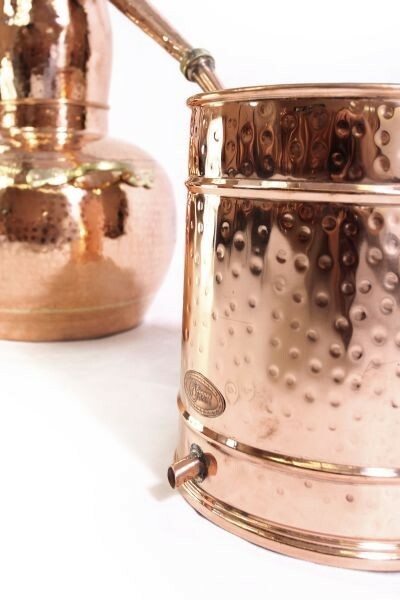 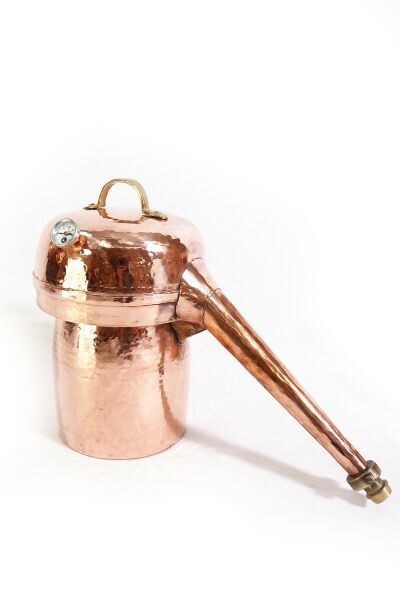 Ideal for all fruit brandy and fine spirits which you can lovingly and traditionally distil. 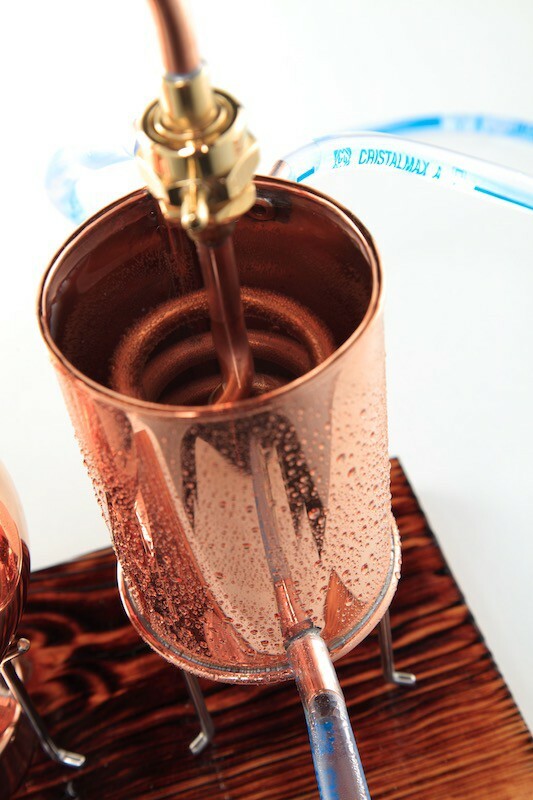 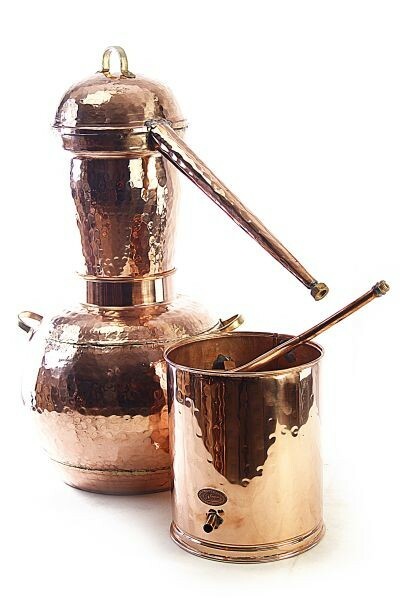 The Arabia still consists of the 10 liter capacity boiler, the wide head with the special integrated collection channel (so that the distillate partially condenses on the head), the sideways, descending swan neck and a worm condenser in a copper cauldron with cool warer intake and drain. 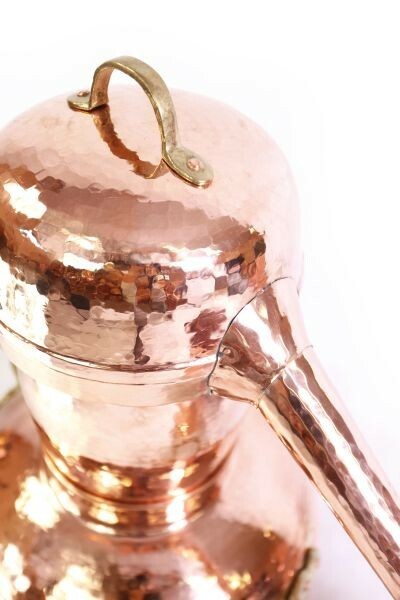 All in all, a very nice still which distills highly aromatic distillates. 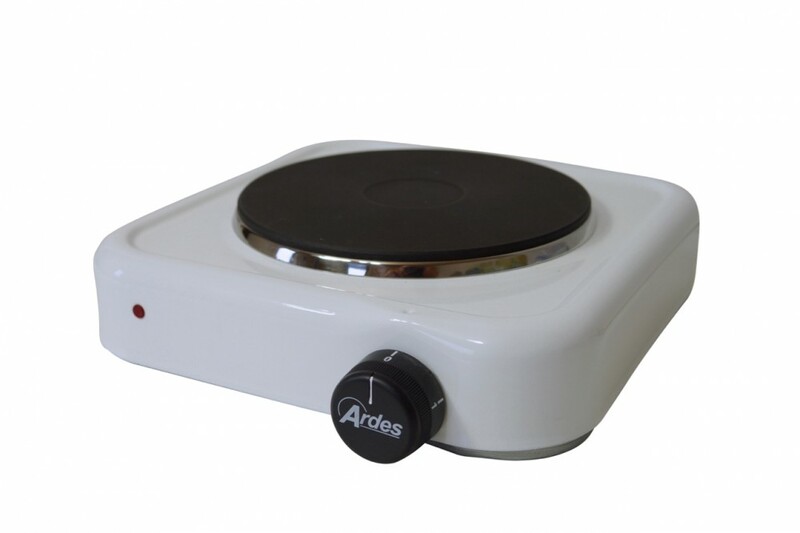 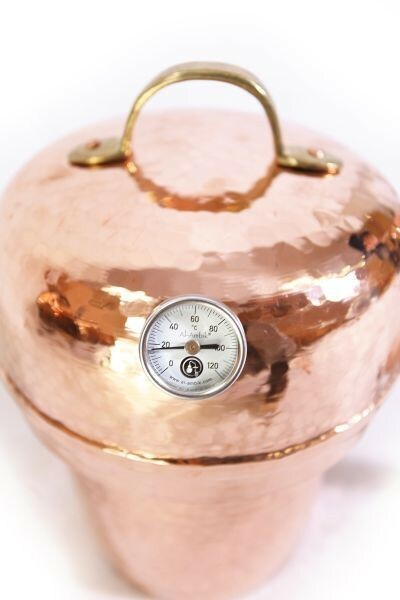 The version with the built-in "Al-Ambik®" thermometer is definitely recommended for schnapps distillation. 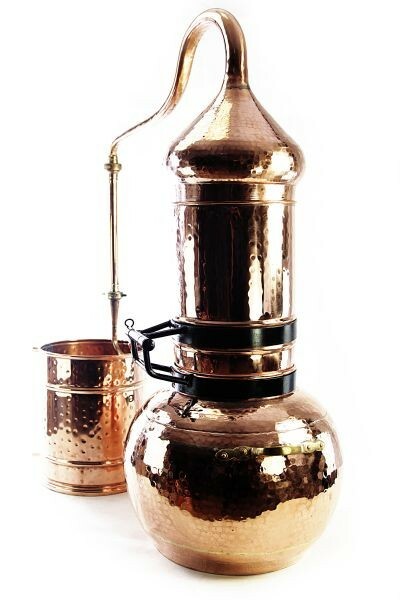 Nevertheless, this fine still is also suitable for the production of herbal distillates and, with some talent for improvisation, even for steam distillation of flavored spirits or steam dragging for essential oils.